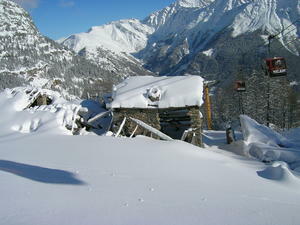 Courmayeur is an extremely popular resort in the shadows of Mont Blanc. The resort is linked from the pretty town by one of Europe's largest gondolas. There are a lot of snow cannons that top up the lower slopes, which can become thin as everyone heads back to the gondola. Powder-hounds will revel in the upper slopes and lower down there are plenty of wooded areas for some superb tree-skiing. 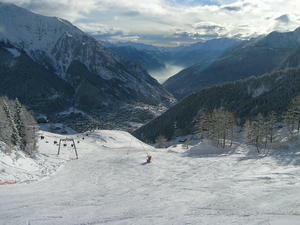 Despite its impressive surroundings, Courmayeur is not the most challenging resort but is certainly tamer than Chamonix. 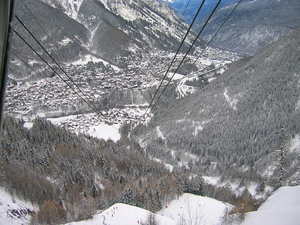 Off the slopes, the town of Courmayeur is pretty, very lively and its centre is car-free. 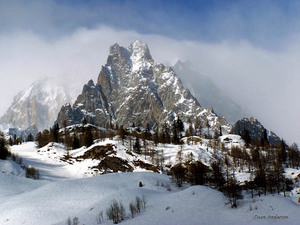 Was in Courmayeur in Jan 2019. Have to agree with much of what another reviewer said. 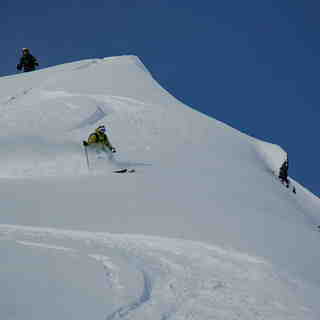 Good skiing for beginners and intermediates. 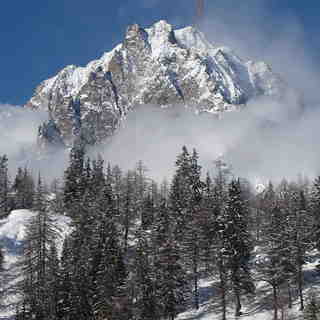 We had fabulous weather and it was great to sit outside and enjoy a daytime beer or eat half way up/down the mountain. Lovely but small town, some nice restaurants and a few good bars but generally the town is very quiet. If you want a buzzing night life, Courmayeur is not for you. BTW - you must take half a day off skiing to take the Skyway (lift) which is a short bus ride from Courmayeur town to Punta Helbronner, 3466m up Monte Blanc. Fabulous views going up and from the viewing platform at the top.